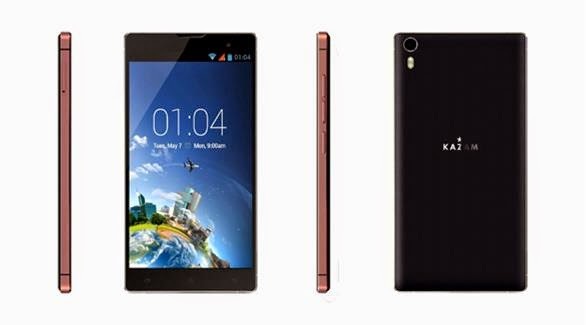 IWASSA Co.: Kazam launches new smart phone . Kazam launches new smart phone . Lynette Kazam company announced the launch of a new smart phone screen measuring 5 inches and friendly from the medium category; comes with a Tornado 5.0 IPS screen clarity and precision ultra HD. The pulsing inside the new smartphone processor with eight cores random access memory (RAM) with a capacity of one gigabyte, and an internal memory capacity of 8 GB, and can be augmented by the external memory card for up to 64 GB. The package includes technical equipment to a Tornado 5.0 on the camera-resolution 8-megapixel camera. Phone and depends on the operating system Google Android 4.2.2 (Jelly between), and the data is transferred quickly network HSPA +. Kazam and announced that the cost of the smartphone's new Tornado 5.0 is about U.S. $ 400, and includes the cost to provide this service remote maintenance and repair free of damage the screen during the first 12 months of purchase.